The Avalon Theater under demolition, December 2011. According to the 2011 demolition permit, the demolition cost $27,500. That non-deferred expenditure removed $124,000 for the sales price, and who knows what really from the final sales price. In 2012, when the building fell, many rejoiced that an “eyesore” was coming down. Yet today the demolition seems economically questionable. The economics of demolition are simple: removal of buildings almost always decreases the worth of a property. The years of having the building listed at an artificial price, the years of city officials not taking reuse proposals seriously, the expenditure of city time and money to get the building demolished — all add up to reducing the parcel value and lowering revenues to city government. If the city of St. Louis wants to be “open for business,” as elected officials often claim, it must retain assets that drive economic activity. Demolishing the Avalon Theater was a step in the wrong direction for South Kingshighway. This entry was posted in Demolition, South St. Louis, Southampton. Bookmark the permalink. How but a new goddam theatre in its place! I think you may be a little out of the loop on this one. Former alderman Gregali and city officials tried for years to save it by forcing a sale or taking it back from the derelict owner. It was thought to be owned by some old guy who wouldn’t sell it but for an unreasonable price and then there was a shell corp that really owned it. The story is bizarre and probably worth retelling if I had the time and could refresh my memory a bit. Maybe Gregali could shed light on it or the president of the Southampton Neighborhood Association who was kept abreast for years. The sad thing is that the city couldn’t seem to foreclose on it for back taxes and such until it was too far gone to save. The roof was gone and the structure and interior destroyed by the time it was resolved. Many in the neighborhood were NOT happy to see it go but there was little choice by the end. It is still sad to see the open wound when I pass by there. The Avalon is a casualty of mental illness and the real estate market collapsing. When I first spoke to the owner in 1999, he wanted more than a million dollars. In 1999, the building needed new plumbing, electrical, HVAC and ADA modifications. The roof was leaking, but not that bad. In 1999, the Avalon needed at least a million in renovation, on top of whatever purchase price. Part of the problem with renovation these historic buildings is that they’ve ceased operation and lost their “grandfather” status. This is why the entire building needs to be brought up to current code. It’s very nice to think about all of this improvement, until you’re in the position of writing the check to do so. Changing times in the theater business make it unrealistic to operate a one screen theater anymore. It’s also unrealistic to build another small theater in the area. The economics and the demographics of the area don’t support it. Theaters have become larger and more of a regional draw. The few exceptions are historic locations, like this one could have been. Kingshighway Blvd is a mess. Take a look at the neighboring businesses and it shows why an investor might not want to take the chance on the Avalon. 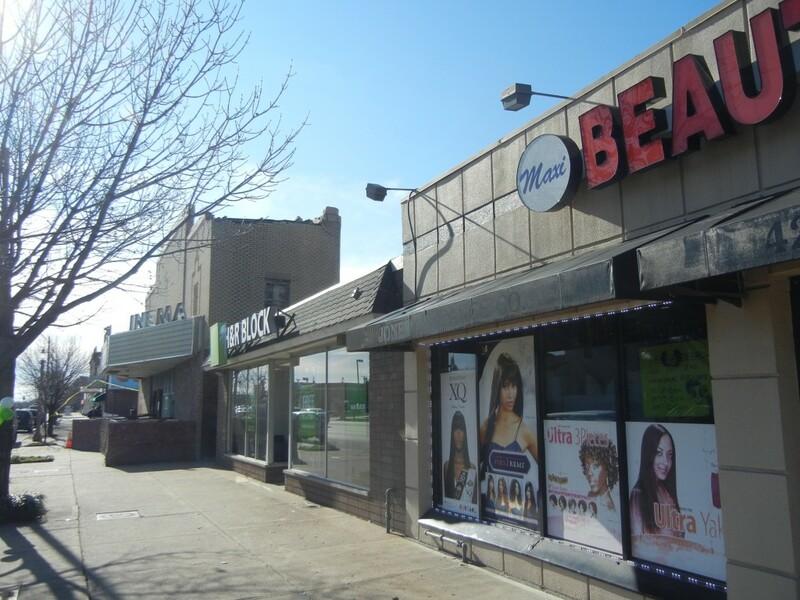 There are four or five loan shops and a Jack in the Box within a quick walk to the north. None of these can be considered upscale, which is the patronage the Avalon needed. The Avalon was eventually torn down because it was a safety hazard. The city had threatened to have it demolished and bill the owner. I am not condoning the owner’s lack of maintenance, but in 1999, even if he gave the building to me, it still would have been rough proposition. There was little chance of reopening the Avalon as a movie theater, but the building could have supported many other (and creative) uses. Anyone who has seen the Columbia Theater — now a house with a courtyard in the auditorium — at Columbia and Edwards on The Hill or the old Merry Widow at Chouteau and Truman — now a warehouse, if not glamorously converted — knows the malleability of a single-screen theater building. I know the story well — search “Avalon” on this site and you’ll see years of blog posts. Greg Tsevis was impossible, but the city’s solution (demolition) was senseless and economically foolish. was condemned 30 years ago. Where were you Michael Allen when I proposed multiple use? As someone who has been inside both the Sun and the Avalon while they were both shuttered, I can tell you without a doubt that the Sun was in far worse shape. I mean, you could tell that, at one point, the Sun was magnificent, but I never saw it in that capacity. 2×12 planks were laid on the floor as the floor could not be trusted. 10′ diameter circles of… mush that were once beautiful wrought iron seats and upholstery. Rusted out spiral staircases backstage that went up to the loading gallery and down to the dressing rooms. The lobby was the only part that was in decent shape, and that was stretching it. The open door to the upstairs from the lobby showcased stairs covered in bird droppings several inches deep. The staff at Grand Center had never been upstairs because they didn’t trust the stairs underneath all of that corrosive poop. I saw my fair share of shows at the Avalon. My best friend worked there, and even before I knew him, the Avalon and Kingsland were the main movie theaters in my life. I loved the Avalon, but I can see absolutely no basis of comparison to the Sun. I’m no huge fan of Grand Center, but they are not as all powerful as you seem to believe. I worked for a Grand Center tenant for almost a decade, and somewhat befriended the theater manager of the Grandel. Before I knew him, I shared your views and blamed Grand Center. They’re just a non-profit. The Grandel itself was set up as a venue for companies that could otherwise not afford to put on productions. I’d complain about the leaking roof and the antique lighting instruments that were old when Grand Center bought them from the SS Admiral when they updated the boat in the early 1990s. I don’t think they’ve ever even broken even financially. It takes money to make repairs, and Grand Center really doesn’t have much. And in economic crises, arts organizations are the first to suffer. Grand Center exists to showcase art. They are not in the business of preserving or restoring buildings. They can’t afford to be. The same with RAC. Why would you expect an arts organization to have ability and capacity to do multi-million dollar renovations? By the time the building was demolished, it was literally falling into the street. There was a barricade around the sidewalk to protect pedestrians from the hazardous hulking mass. One might argue that the city waited forever and a day before it finally came to the point of demolition. So then some might argue, well, why not stabilization? That’s a good question, and one that will be toughed out in the months and years ahead as the city implements its new building stabilization program. In such a scenario, how would the Avalon rank for stabilization compared to the hundreds, nay thousands, of other vacant city buildings? You raise a good point, but what is the city to do? You had a property owner that was current with taxes. Alderman Gregali was willing to push for eminent domain if an interested party made a reasonable offer to the owner. Should the city have pushed for eminent domain and then became the owner without a plan? I think there would be more citizens complaining about abuse or taxpayer funds than people upset over demolition. 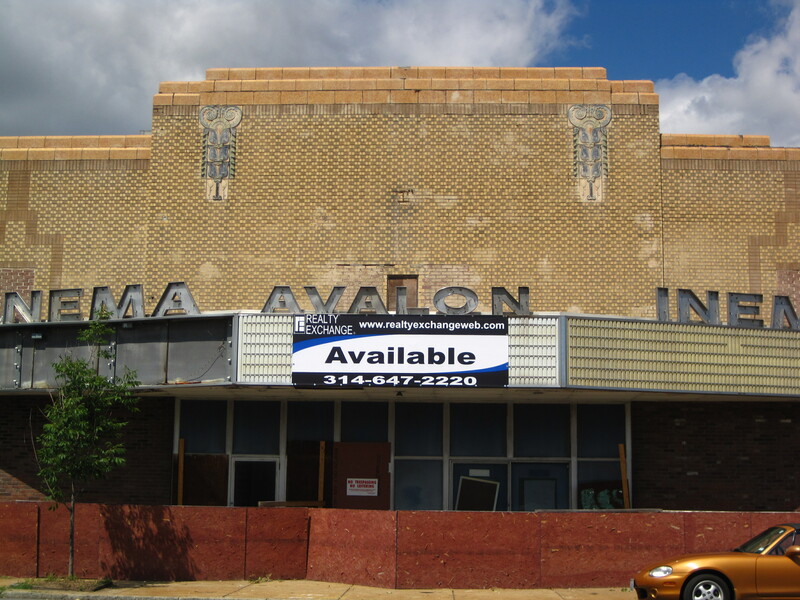 I don’t know who else had interest in the Avalon other than me, but it takes cash, and plenty of it to save an 80 yr old building with thirty years of deferred maintenance. FYI: The Virginia Theater is sitting unused on Virginia Ave. It’s owned by the LRA. Someone step up and save it. There’s also the Melvin and the Yale still standing. Probably right there with you, Ed. You just didn’t notice.